Affordable long range 2.4 ghz remote control glider jet RC airplanes are now a reality Great For Beginners To Experts. Comes with remote control, rechargeable battery pack for the plane, and charger to. Order Online 24 Hours A Day. Flying time is amazing at about 30 minutes per charge! Great for the park or backyard! You will be flying to heights of about 150 feet in within minutes of opening the box. Charge your plane right from the included charger. The wingspan measures an awesome 20 inches wide and the plane is about 22" long. Buy more than 1 remote control plane and we will send separate frequencies making for the ultimate fly with friends special. Range is 1000 feet. This plane is made of a special foam that is repairable! yes, you can perform stunts to. Buy more than 1 and we will send separate operating frequencies for the remote controls. 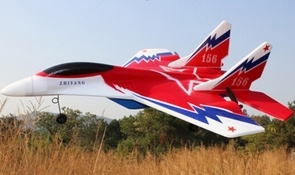 This rc plane is really easy to fly and we are having a lot of fun. The quality is good too. this is the best air plan you can get. Spread your wings, wind up your engines and it's time to soar through the skies! You don't need a crash course in flying nor a license to fly.